Is a Science of Mind Even Possible? Reply to Logie (2018) Journal of Applied Research in Memory and Cognition. Working memory capacity and fluid intelligence: Maintenance and disengagement. Perspectives on Psychological Science 11(6), 771-799. No evidence of intelligence improvement after working memory training: A randomized, placebo-controlled study. Journal of Experimental Psychology: General, 142(2) , 359. Randall W. Engle, went to W. Va. State College because it was the only school he could afford to attend but it was one of the transforming experiences of his life. State was a public all-black college prior to 1954. As a consequence, most of his faculty were outstanding scholars who could not get jobs at top universities. One of his psychology professors was a marvelously well-read scholar named Herman G. Canady, a 1929 Ph.D. from Northwestern and one of the first black ABEP’s. He worked his way through graduate school as a butler. Engle had a Harvard graduate for his math courses, a Yale Ph.D. as a drama teacher, and his French teacher was a black female who received her Ph.D. from the Sorbonne. He graduated with nearly as many hours in zoology and math as he had in psychology so it was probably inevitable that he gravitate to experimental psychology. He was admitted to Ohio State to work with D.D. Wickens. Wick was a wonderful mentor and was exceedingly patient with a student that wanted to do everything but did not focus on anything long enough to do it well. The job market was tough in 1972 and Engle was lucky to land a job at King College in Tennessee. His two years there, with 10 classes per year, made him a teacher. Fortunately, two of his classes each year were senior research seminars, which he used to conduct experiments. He was limited in equipment to a tape recorder and slide projector, so he did research on modality effects in short-term memory. At the end of two years, he had two publications, enough to land him a job at the University of South Carolina where he spent the next 21 years. He moved to the School of Psychology at Georgia Institute of Technology as Chair, a position he held for 13 years. He stepped down as chair to found the GSU/GT Center for Advanced Brain Imaging (CABI) on the Georgia Tech campus. He is editor of Current Directions in Psychological Science and has been on the editorial board of numerous other journals over his career. His research for the past 30 years has explored the nature of working memory, the nature and causes of limitations in working memory capacity, the role of those differences in real-world cognitive tasks, and the association of working memory capacity and cognitive control to fluid intelligence. His work has been funded by various agencies including the National Institute of Child Health and Human Development, Air Force Office of Scientific Research, and Office of Naval Research. His work has been highly influential across a wide array of areas including social psychology, emotion, psychopathology, developmental psychology, psychological testing, and has contributed to modern theory of cognitive and emotional control. 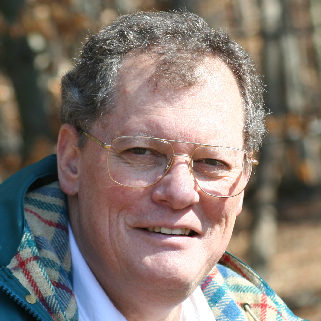 Harzing’s Publish or Perish shows that Engle’s work has been cited over 17,000 times. He is a fellow of the American Psychological Association, Association of Psychological Science, American Association for the Advancement of Science, Society of Experimental Psychology, and the Memory Disorders Research Society. He has served as Chair of the Governing Board of the Psychonomic Society, Chair of the Board of the Council of Graduate Departments of Psychology (COGDOP), and President of Division 3 of APA. He received the first APA Division 3 Lifetime Achievement Award. Dr. Engle is an Adjunc Professor and Professional Fellow in the Department of Psychology at the University of Edinburgh.